Regarding salaries, nurse practitioners averaged $100,910 in 2016. High performers averaged between $120,450 and $140,930. Those working in industries such as personal care services and management, scientific, and technical consulting services averaged more than $130,000 and specialty hospital FNPs earned $117,120. FNPs earn more than other types of nurses for a number of reasons. Many FNPs work independently, serving as primary and specialty care providers, delivering advanced nursing services to patients and their families. They perform many of the same duties are physicians such as assessing patients to determine the best way to improve or manage their health, prescribing medications, discussing ways to integrate health promotion strategies into a patient’s life, and ordering laboratory tests. They also consult with physicians and other health professionals when needed. 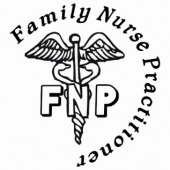 To become an FNP, you must be a registered nurse (RN) and hold a master’s degree or higher in this specialty area. Thanks to the high demand for skilled FNPs, most accredited nursing schools offer competitive MSN in family nurse practitioner programs. Some even offer online programs, allowing students to continue working while pursuing this higher degree. Just a few accredited nursing schools with online options include Chamberlain College of Nursing, South University, Walden University, and West Coast University. Want to start earning more? Enroll in an MSN program at an accredited school. We’ve compiled below a list of accredited nursing schools with an online MSN in family nurse practitioner to help you get started.